Discover the meaning of the mirror hour 14:14. Here we offer to help you break down the message that this double hour is sending you. 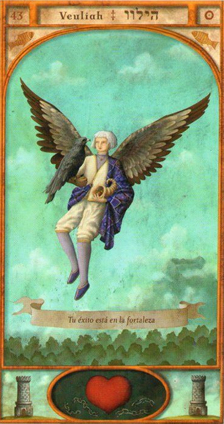 To do this we are going to use the guidance of the angels, a simple calculation using numerology, and the connections with one of the cards of the Tarot of Marseilles. If you are on this page right now, then it must be because you want to understand why you have been seeing 14:14 regularly. Carl Jung established that the phenomenon of synchronicity is specific to the observer. The meaning behind the twin hour 14:14 will not be the same for every person who sees it. Here we are going to give you several possible interpretations. After this it will be up to you to take the time to decide for yourself what your inner feelings are towards the hour 14:14. Your subconscious has led you to look at the time without realizing it. This could be due to a period of intense questioning or due to guidance from the outside such as from an angel or from an entity. But in any case there is a message here. The message that the angels are sending to you through the mirror hour 14:14 is very simple: you should set aside anything which is unhelpful in your life. If you think that your everyday life is not what it should be, change it! Don’t stay in a situation which is weighing on you, set yourself free! You like to be moving forwards. For you, inaction is a source of instability and a waste of time. The constant movement in the different areas of your life invigorates you, but be aware that it is sometimes difficult for others to keep up, and this can lead to fatigue or lack of understanding from the people around you. But fear not, as coming across the double hour 14:14 is truly positive, at least according to the interpretation of the angels. This mirror hour is about good news. Even if you have faced some difficult challenges, your situation will improve. You are finally going to have a taste of happiness, and you deserve it! At this moment you are in control of your life and you will reap the fruits of your labors. At work you should soon be signing a contract, or receiving the promotion that you have been waiting for for a long time. Romantically speaking, the angel heralds a meeting or a positive development in your relationship with your partner. The guardian angel corresponding with 14:14 is Veuliah whose period of influence is between 14:00 and 14:20. He symbolizes abundance and progress. He breathes success into your endeavors, and with him, prosperity is at your door. With his help you will overcome your fears and your limits and nobody will be able to enforce their unhealthy authority upon you. The angel Veuliah will help you to free yourself from your inner demons. He can also be invoked to help fight evil spirits. By working with these energies, you will be able to balance your chakra, which will allow you to find peace and serenity in your life. What does 14:14 mean in Numerology? 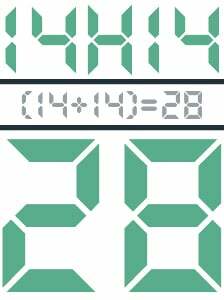 The total value of the mirror hour 14:14 is 28. This shows that you are an independent and determined person. It takes a lot to get to you, and you have strong protection against life's little surprises. A femine presence seems to play a big part in your life. If you have met business setbacks, then you should try again! Failure often teaches us more than success. You are currently in a position to be able to face your responsibilities and you won’t make the same mistakes again. You should have confidence in yourself! Your gift for bringing people together makes you a real diplomat. You have a good sense of timing and you always know how to give out information to the right person at the right time. This allows you to ease a great number of tensions. Finally, the vibrations of 14:14 through the number 28 allow you to thrive in a field in which a big imagination is required. This could be related to an artistic field, but it could also be to do with a management position, because to lead, you need to have spirit! If you remain fixed on your objectives you may even end up being well known on a wider scale. 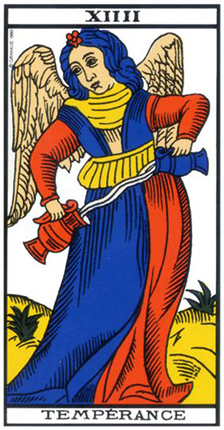 The Tarot card corresponding to 14:14 is Temperance! She is a source of gentleness and wisdom, and she heralds a rest in your future. With this Arcanum you will weigh up the pros and cons. She suggests that there will be time to reflect, and she embodies the patience you need to reach your goals. The symbolism of the angel is a good expression of the positive nature of this card. She brings you peace and reconciliation. She indicates the end of love quarrels, and a return to harmony. On the professional level she represents calm and a well-deserved rest after a long period of intense activity. But Temperance can also mean doubt or inaction. She may indicate that you will be unable to decide between two choices or two situations. In love, too much tranquility can extinguish the biggest of your passions! Pay attention to your partner as routine is the enemy. This card indicates that on the romantic level there is total calm. Unfortunately if you are single, this means that you will need to have patience before you meet someone significant. If you are in a couple, then there is nothing new on the horizon, other than routine that is! On the professional level, progress in your career is very slow, but it will regularly give you a lot of satisfaction. In financial matters this card suggests balance. You shouldn’t have too many problems in this area. 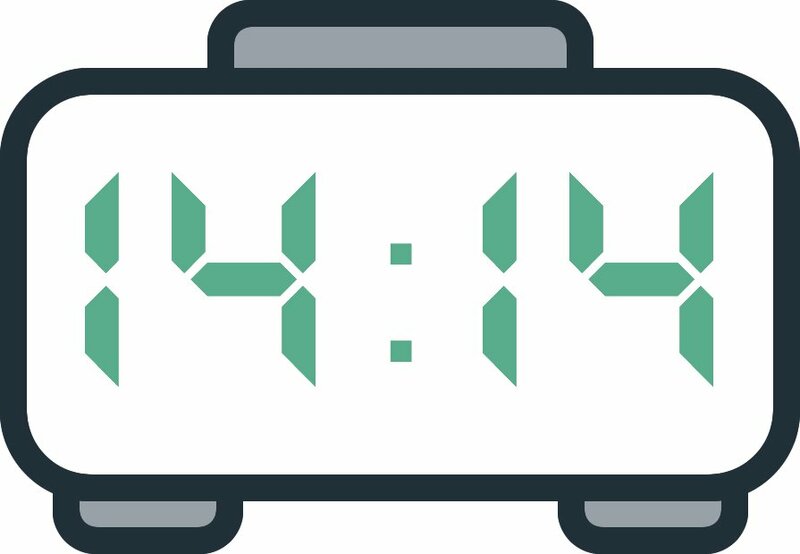 Any comment on the 14:14 mirror hour? Very informative. Thank you very much for the positive and uplifting insights. Like the article very much! I saw this 14:14 on 14th of February and hope that it is a good sign! Thank you my beloved ones! Thank you for takw care of my soul and my life ans my kids. Help me get trough this sadness.. Saw these insights just in time. Am comforted knowing am on the right path!